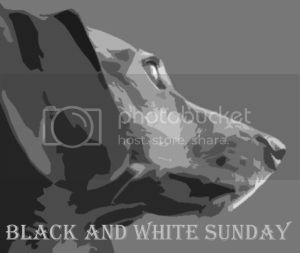 It's our first time participating in the Black & White Sunday blog hop hosted by You Did What With Your Weiner, My Life in Blog Years and Dachshund Nola. Cosmo looks pretty much the same in Black and White, except his whites are whiter and his blacks are blacker! Next time we'll try something a little different! Let's see what everyone else is up to in Black and White! Love it! Perfect for b&w Sunday! Awww!!! I love the one-eye look. I forgot to check back and see how Cosmo has been doing. I hope better. That's a great picture. Sneaky little look. He's perfect! Have a great Black and White Sunday! Cool photo Cosmo! Hope you are doing well! At least it doesn't look like he's giving the "stink eye"
Is this Cosmo, Snoopy's neighbor? No, it's Cosmo Havanese, another (long-distance) partner in mischief! Cosmo Havanese is smaller but just as fluffy! Hi Cosmo! I this is my first week at the B&W Blog Hop, too - and I'm the only cat! Every says I act like a dog so maybe that's why. Hope you're doing good buddy. ohh, I hadn't realized it was all doggies except for you pal! I'm feeling good today. Ready for me first chemo treatment, paws crossed. He is such a cutie patootey! Love that photo!